A favorite rose worldwide. Peace was named the day Berlin fell to the Allies, won the AARS medal on the day peace was signed with Japan, and each member of the newly formed United Nations was presented with one of its blossoms. 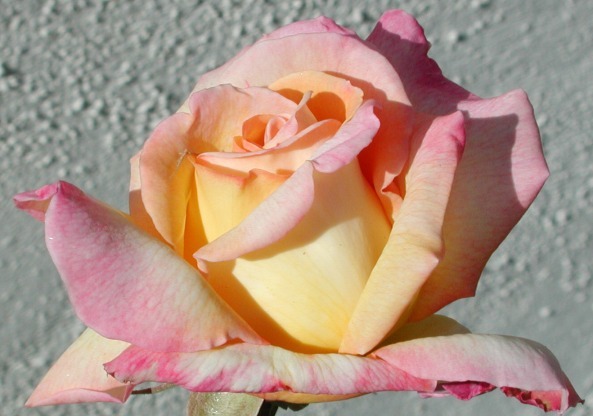 It has been voted Best Rose in three countries and is the most widely planted hybrid tea in the world. Cuttings of this rose were smuggled out of France during WWII to other countries. Because the grower could not contact anyone to whom these cuttings were sent, he had no idea what had become of his rose. It became known by several different names in Europe: Gioia, Gloria Dei, and Mme. A. Meilland. It wasn't until after the war that the grower found out what a triumphant success his rose had become. This rose is healthy, hardy and easy to grow. It even looks good when it is not in bloom.